Pizza ovens are growing in popularity as more and more home owners enjoy the benefits of outdoor entertaining. 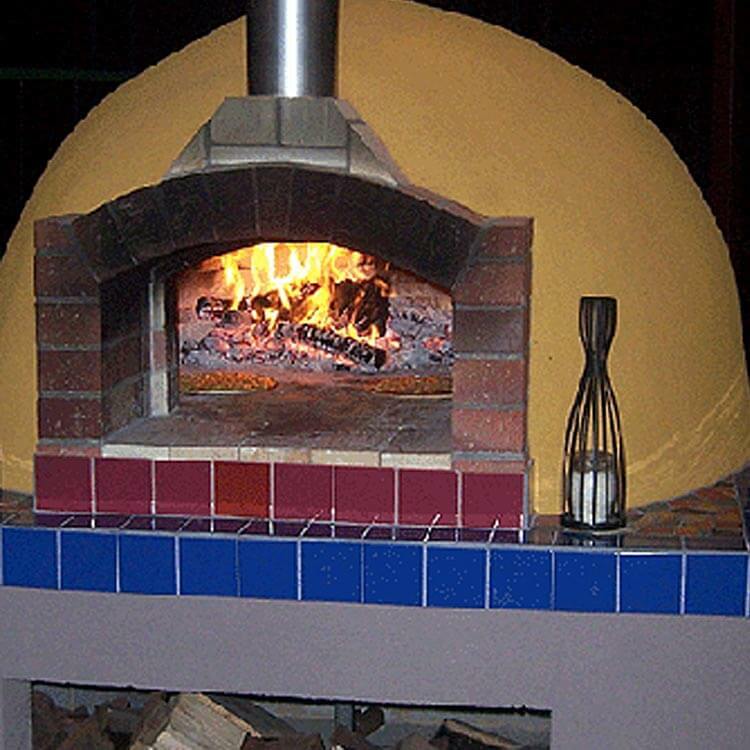 Here at Littlehampton Bricks, we’ve been selling fire bricks, pavers and fire clay for decades and our products have been used in hundreds of pizza ovens across the state. This is the best set of instructions I have seen and they are well worth using. The pizza oven I built was about 800mm circular internal. This is perhaps as small as you would want to go. If you look at page 58 of the Forno Bravo material there is a parts list, which is pretty close to the mark. I used Littlehampton 70mm solid pavers to build the oven dome. Some people might prefer to use your fire bricks for the dome, especially if the oven is for commercial use. The floor of the oven MUST be firebrick. The fire blanket – I eventually got mine from Bradford Insulation. Vermiculite for the insulation under the floor of the oven. These are available from hydroponics shops (approx $35 retail for 100 litres). One bag was enough for me. I simply cut the bricks with a bolster, and did the dome by hand. Noting that I am a pretty handy person, but no expert in bricklaying, I found the first 3/4 of the dome easy. However, the last parts were a challenge. The attached Forno Bravo instructions provided some tips. I used a cut out of timber for the inside shape of the oven and this was very helpful in getting the bricks in the right spot. The shape of bricks is different for each row of bricks in the dome. Row One is flat bricks, with angled edges making a trapezoid looking from above. As you go up, both the top and bottom also need to be cut so that the walls bend over into the dome shape. If you simply use square bricks there are some pretty big gaps you fill with mortar. Not a problem with refractory mortar, as it sets very very hard – but it is fiddly! We also recently received a very detailed description of the pizza oven making process, complete with a breakdown of all the materials used and where to purchase them from in South Australia. Many of our customers have found this information useful and you can download it from here.